It's time we ran another competition! I want to run more competitions this year than I have been lately. To start with, we're having an Alternate Build competition, based on the Creator theme. Submit an alternate build MOC using only the parts from a single Creator themed set. Using spare parts is fine, as long as they are inventoried on Rebrickable at the time of submission. There can be no inventory errors when you submit or it won't be considered. The MOC must be physical with a real photo, but using a digital file (e.g. LDD) as instructions is ok. It must be a newly designed MOC, without any previous submissions to other Internet sites. Only Free MOCs will be eligible. The best two MOCs as determined by the Rebrickable admin team will receive 4 Creator sets each. We will judge the MOCs based on build quality, instructions, presentation, and general creativity. Thanks to the Community Engagement Team at LEGO for providing these sets! The competition is open now, and entries close on 30th April 2018. The winner will be announced early in May. Sorry, that MOC is not an alternate of a set within the Creator theme, as defined by our catalog. But the line is called Creator expert! I assumed form previous replies in the thread that it would be valid for the competition. Modulars are defined in the "modular" category in the rebrickable database. So the other creator expert sets are "creator" but not the modular ones. Are MOCs submitted today still valid entries? In other words, has the competition closed already now that it's April 30th or will it close at midnight tonight? I didn't specify clearly, so I'll accept MOCs until end of April 30th UTC time... which is approx 3.5 hrs from now! If it meets the entry rules for the competition, it will be automatically entered. Because it has a lot of inventory errors (22 missing parts, 1 color error). If I started designing a MOC in mid-March and finish it today is it still eligible for the competition? I've been working on it for the whole duration of the competition, but I started it before the competition was announced. Sure, as long as it's the first public posting of it. For some reason, two of my MOCs (31070 mini Land Rover and 31056 american truck), had been tagged but now no longer appear on the current entries list. Can anyone give me a clue as to why? Edit: Problem solved (human error)! I can see those MOCs, but I think I know why you can't. If you have it set to show you 50 results per page, then there are a few entries that will be on a second page. In other words, try the link again and either click on the second page or change your settings to show like 100 per page. Hope this helps! Thanks for the help! I can now see them. It probably just got missed. I think there were a lot of MOCs submitted around the same time as that one, so that might be part of the reason. You can always add the tag yourself; that is what I have been doing recently. Oh, thanks. Adding it myself felt like cheating. I thought maybe the fact there were too many submodules and not one was the reason. You're welcome! I think you can make as many submodules as you like as long as it's out of one set. I could see how you might view adding the tag yourself as cheating, but IMO if you have submitted your MOC with the intentions of entering the competition then its OK. It's just one I missed, added now. FYI the image on that MOC is broken. Thanks Nathan. The image breaking happens every time I change the main image through admin. It happened to the 31074 mech as well. I tried reentering MOC details URL but it didn't help. Sometimes you have to wait for changing the profile picture, usually it takes days in my experience. I think, it's reletad to the server cache. Yes, it's a caching bug. I was able to change the MOC images fine, but I can see it not working for others and don't know why yet. Thank you for the answer. I'll avoid any confusion for the competition and wait with that MOC until after the competition and also mark it as having a photo previously published. I'm pretty sure they do. See some of the first comments on this post. I will look forward to seeing your alternate! Once we've submitted something here, is it then OK to submit it elsewhere (Brixtar) or should we wait until the contest is over? It would be best to wait until the competition is over to make it easier to validate each entry. Question- Will the winners be selected from alternates of every set or are they selected from alternates of any set? Alternates of any Creator set. Your question is a bit confusing, but if you submit an alternate of ANY creator set, you have been entered and are eligible for the prize. I know its confusing but don't you think it is obvious that any MOC from sets like 31056 have a next to impossible chance to win? There isn't much you can create with it due to less bricks. This creates an unfair opportunity for people like me. I definitely agree with you but less bricks limits our creativity! It doesn't have to though. Three of my entries are from 31056, and that was by my own choice. Tomik and Leo1 have also entered the contest with 31056 and they've made some incredible alternates too! Will look forward to seeing it! You could build the model in several chunks as long as it is obvious enough which chunks go together. I am new to this. My son wants to enter this competition but we only have photo's, no LDD. How to submit our MOC? Hi, so make a pdf instructions by organizing you pictures and construction of the build in an easy-to-follow way. Make sure you can re-build the model from those before submitting. You can store the pdf instructions for free on bricksafe.com. 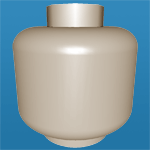 You can download LDD for free as well. I find that easier. Do you think you could add a link showing all of the current entries? Yes, good idea. I'll get to that probably sometime next week. Can't wait for them :) this set wasn't inspiring to me, but there are a lot of fantastic alts with this set, including yours. When I submit a MOC does it need to be labeled only under the theme "Creator"? In other words, will an alternate build for a creator set count as an entry if it is listed in "Creator > Basic Model > Race" instead of just "Creator"? Your MOC can be any theme you like, as long as the set it is built from is somewhere under the Creator theme. I love this contest because I have a lot of Creator sets and I love finding new, great alt builds for a set. It's like a set suddenly went from "3-in-1" to "4-in-1"! And there are some creator sets that seem to have NO Alt Builds. Someone please make something from 31051: Lighthouse Point! So, sure, I'll enter something, but I'm more psyched (because I doubt I'll win) from the influx of Creator alt builds. It's a big hard to see the four Creator set numbers -- by zooming in they are (clockwise) the USD $35 31080 Modular Winter Vacation, the USD $20 31074 Rocket Rally Car, the USD $20 31075 Outback Adventures, and the USD $10 31072 Extreme Engines. They contain 374, 241, 225, and 109 pieces respectively. There are other 2018 Creator sets https://shop.lego.com/en-US/creator-3-in-1-sets that could be considered. It seems that the 374-piece 31080 Modular Winter Vacation set will have FAR more alternate-build possibilities than the 109-piece 31072 Extreme Engines set will. If I get it right, the shown sets are the prizes, not the ones you have to use for the alternate build. The prizes and the Alternate Build candidates are the same, in this case. The way I read it is ANY Creator set can be used. The link in the description "Submit an alternate build MOC using only the parts from a single Creator themed set" Goes to 433 sets. You can use any Creator sets, the conditions are totally clear IMO. You can use any single Creator set for your MOC. The prize is those 4 sets. Is it possible to use a set from anytime or should we use 2018 creator set ? With only brick "bucket" sets at 100% I will have to pass on this one. You need some better creator sets to compete in this one. "at 100%", do you mean you are missing parts from other Creator sets that you own? That's OK. An Alt MOC doesn't have to use ALL the parts from a set. I don't miss parts, I just don't own the sets and the % goes below 80% for the sets that seem to have some appeal. which mean the special parts that make the set specific is missing. My collection is focused mostly back in the 80's after all. Are alternates from Creator Expert sets also allowed? Yes, as long as it's under our Creator top level theme. We don't have a specific theme category for Expert. Wow, being able to use Creator Expert sets adds a lot of options! Question - is submission to the contest any different than submitting a MOC normally? i.e. do we need to somehow specify that a submission is for the competition? No just submit as normal. I might add a tag to them later to make them easy to find, but will determine the valid entries by querying the database to make sure they are valid alternate builds.